Succulent, meaty Italian anchovies with an outstanding balance of briny and sweet flavours. 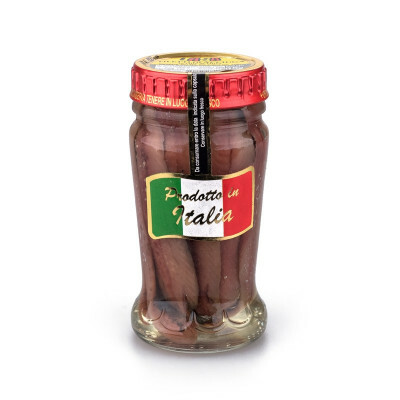 Preserved solely in extra virgin olive oil, anchovies are delicious, healthy and with a huge gastronomic use. 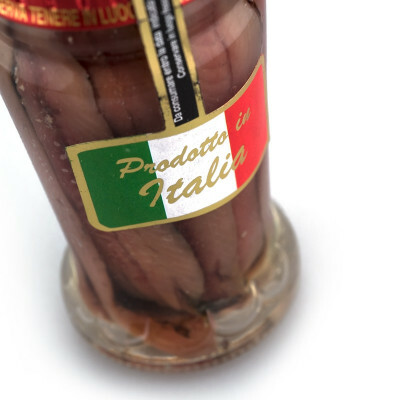 Even today, processing the anchovies at Iasa is done completely by hand, respecting the traditions passed down through generations that enhance the product’s unique quality and taste. Anchovies are fished in the spring and summer from so-called Cetara boats, as the lights on them attract fish into the nets, which are then hoisted onto the boat while still alive. Being such a local delicacy, the fish undergo the first stages of curing only hours after they are caught - especially important as the features of the blue fish deteriorate very easily. After 12 months of curing under sea salt, the anchovies are carefully cleaned and deboned by hand. The firm pink fillets are laid over crisp white linen cloths that help absorb the brine and salt. After a few minutes of drying, the fillets are placed side-by-side in glass jars and covered with olive oil. Use instead of salt in the base of a range of dishes, from famous Italian offerings such as pasta puttanesca and bagna cauda to simple, lesser known dishes like pasta c'anciova e muddica or in an anchovy frittata (Alici in Frittata). Anchovies, extra virgin olive oil, salt. FISH.